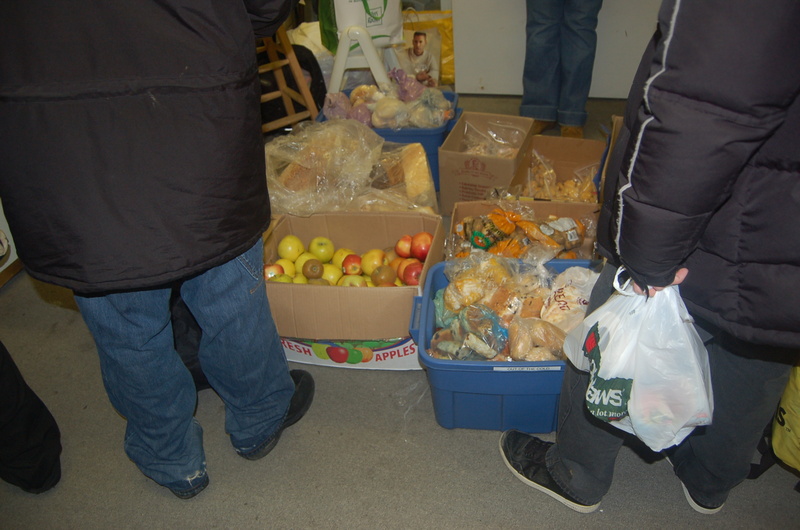 Many people ask me just what types of programs and services, other than our nightly street sandwich runs to the homeless, that Project417 operates in Toronto. One of the most amazing programs in the city is the Knox Youth Dinner & Foodbank that runs every winter from November to April on Tuesday nights. The Knox program was a joint grassroots effort of our director Joe Elkerton and a group of willing Knox volunteers headed by Vicki and Bill Wood. 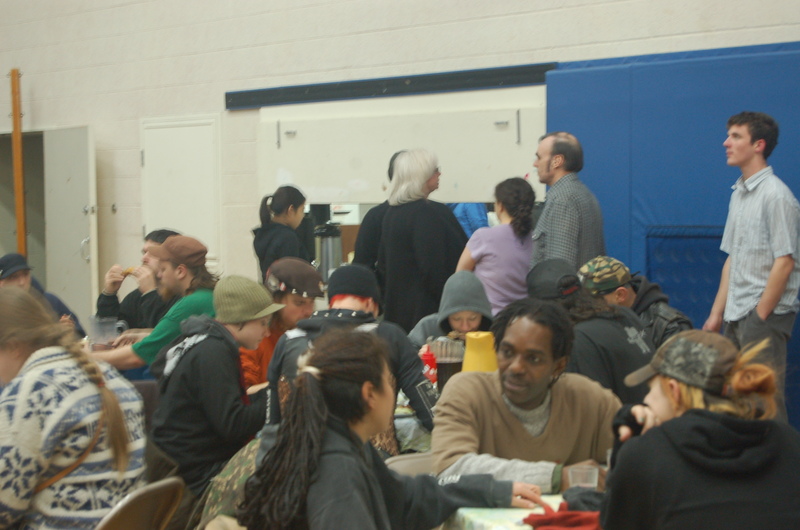 The program is entirely operated by Knox now – and that is Project417’s vision, to mobilize community groups to establish sustainable services for the homeless. Personally, I’ve helped with the program for over six years and more than half a dozen Project417 team leaders show up every week to help the other volunteers. It’s where I have made friends with dozens of Toronto street youth like the girl named ‘R’. 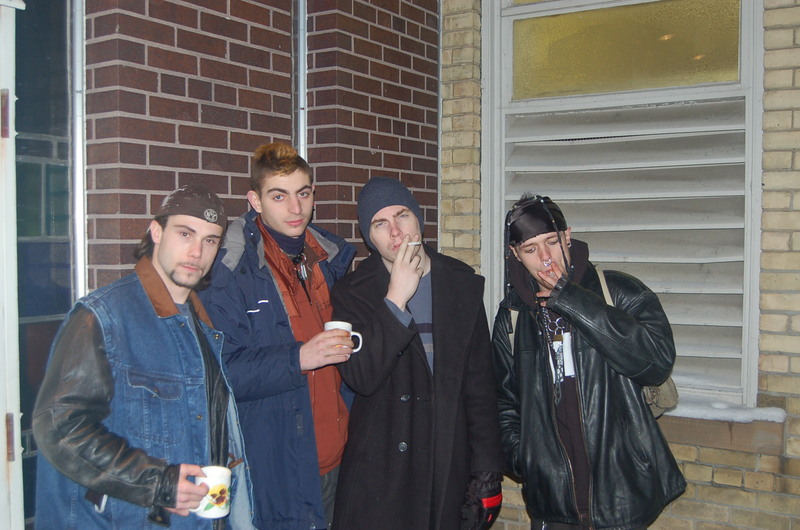 In 2008 I was invited to join a “street family”. This is a family unit (as opposed to gangs) formed by homeless and underhoused kids out on the streets to replace their traditional families – to care for each other, watch each other’s backs, advocate for family members, share shelter, food, information and income. This “family” was the largest of its kind in Canada. My friends Mick and Ozz nominated me at a family meeting and I was the first to be unanimously voted in. They are my people, my little brothers and sisters – I love every one of them. 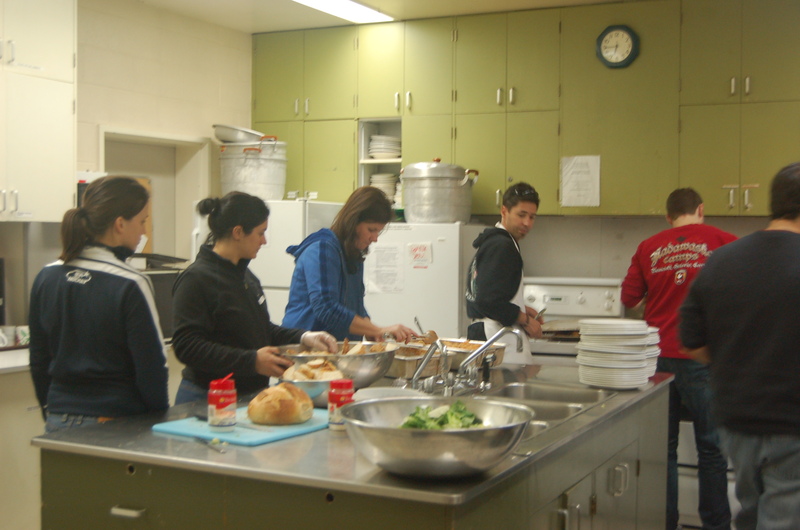 Many are housed now, working, finishing high school, studying at university and raising their own families. 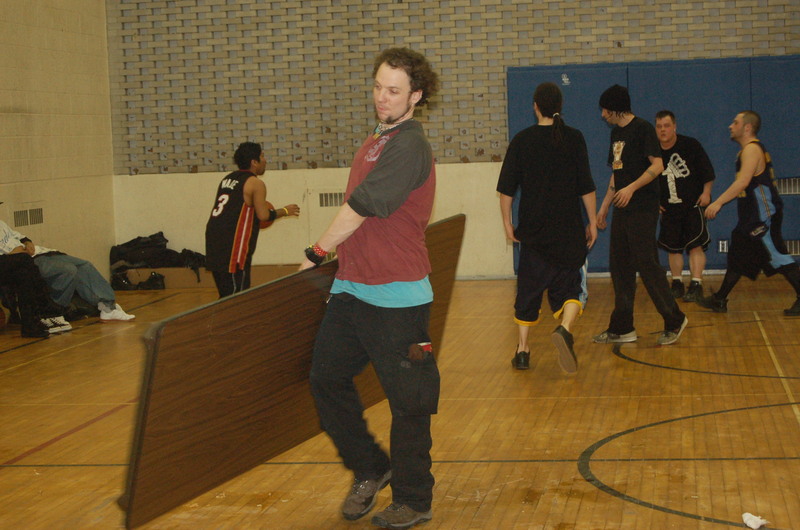 It all started out on the streets of Toronto, and Tuesday nights at Knox. 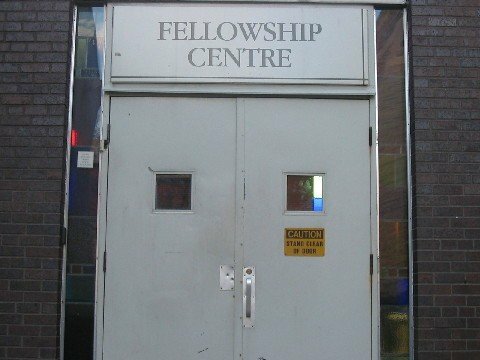 On December 9, 1997, the congregation of Knox church, in conjunction with First Nations’ Gospel Assembly, opened its doors for the first time to the homeless and poor street youth in Toronto, following the Out of the Cold program model. The idea for the program came from Joe Elkerton of First Nations’ Gospel Assembly – a church program of Ekklesia Inner City Ministries – Project417 (for native peoples). Joe approached us at Knox after having to close a program at another downtown church after less than a full season. 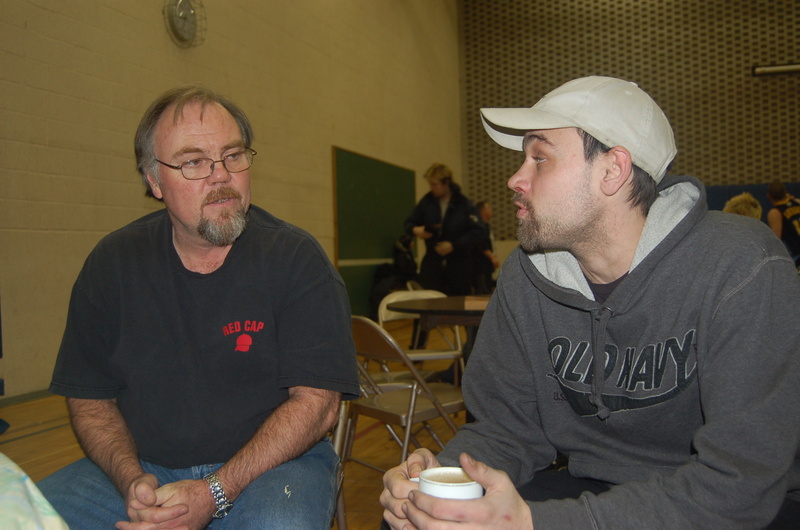 Joe was familiar with the Out of the Cold (OOTC) philosophy and program format, and with a long-time ministry to homeless street youth and First Nations aboriginals, felt there was a need for a similar program targeting street youth specifically. The youth tend to feel uncomfortable at adult shelters. At the same time, a small group of us at Knox were looking at ways our church could expand its work in its own community. We started as a pilot program in two ways: Knox Toronto Session approved a one-year pilot, and our program was submitted as a new church member of Out of the Cold for one year. Almost immediately upon starting this program, we learned that a youth program is not the same as an adult Out of the Cold program. For one thing, we couldn’t expect to simply open our doors and wait for street kids to come to us. We had to build some trust first. So for the first year we would have volunteers with Project417 out in a van handing out sandwiches and inviting kids to come to Knox. The need for such a place soon became apparent, as just about everyone who came once became a regular, and told their friends. On our first night we fed 10 youth and six slept the night. By that February, we were averaging 35 guests per night. (Now we serve more than one hundred youth). We continued the Project417 van runs to deliver food to people outside and to youth who still didn’t want to come inside for the night. It gave us a presence on the street and also helped show our volunteers where our guests come from, which really helped them to relate to the kids. Another difference: we had planned to serve an early evening meal at a set time, and then move on to quiet activities and then sleeping time, But we soon found that our young guests were not always prepared to come in for the night right at our opening time. Our vision of a big family-style sit down meal for everyone had to be re-arranged a little. 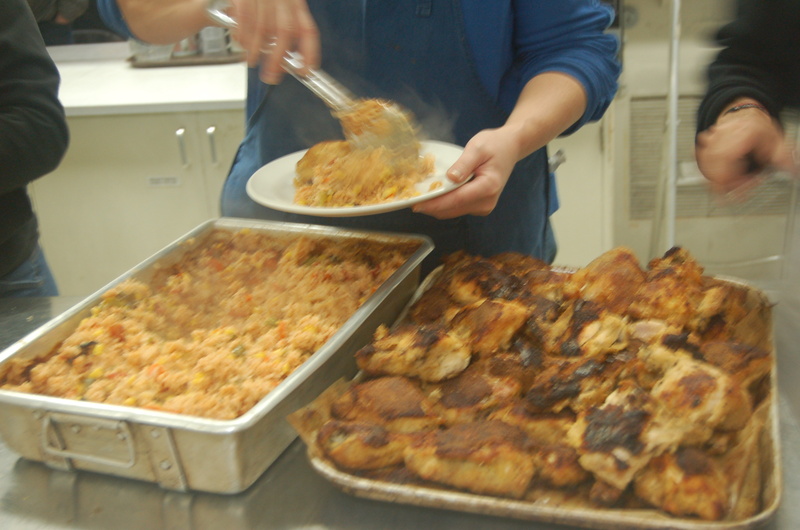 Now we serve dinner at 6:30 for all guests and volunteers who are there, but kids trickle in throughout the night, and are welcome to eat whenever they are ready. 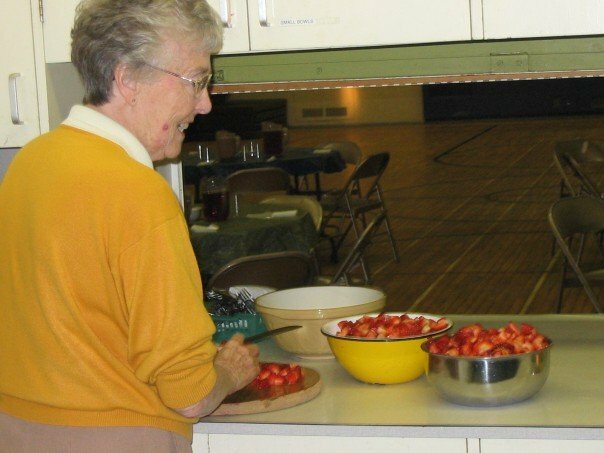 Activities we offer at Knox include: basketball, games, bowling (we need volunteers to help set the pins in our two-lane bowling alley), movies, hair colouring and haircuts, bingo, chess, lots of home made desserts, popcorn and conversation. 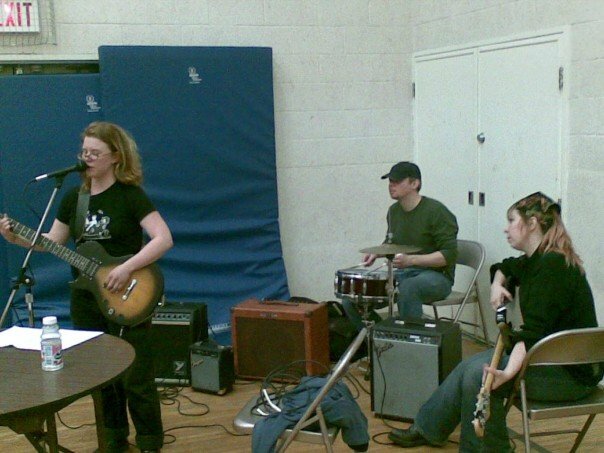 Recent additions include a couple of donated guitars that the kids like to use, and we have initiated bi-weekly music nights, where a couple of volunteers bring in an amp and mics and guitars and drums and welcome any of the kids to join in an impromptu concert. We also have a volunteer set up a sewing table with sewing machine, repairing clothing and teaching anyone who wants to learn. Often we have arts and crafts, which is quite popular. If we have the extra hands, we’ll offer foot baths/massages. We have a community nurse on duty. Our volunteers range in ages from 14 to 82. More than half have been volunteering for more than five years. For several years, employees from the Royal Bank Financial Group made it possible for us to extend the Knox program to two nights. That partnership worked very well and we are so thankful for their participation, but RBC downsizing and resultant loss of volunteers caused that extra evening program to be cancelled. If any group is interested in starting a similar program, the space is available and we would be happy to offer any help possible! Quite a few of the regulars just like to talk to whoever will listen. We feel the most valuable thing we offer is a safe place where they can be themselves for the night, ask for whatever they want and share their stories (true or not!). As of three years ago, many of the youth began to get housed through the Streets2Homes program and the number of youth staying overnight grew less. 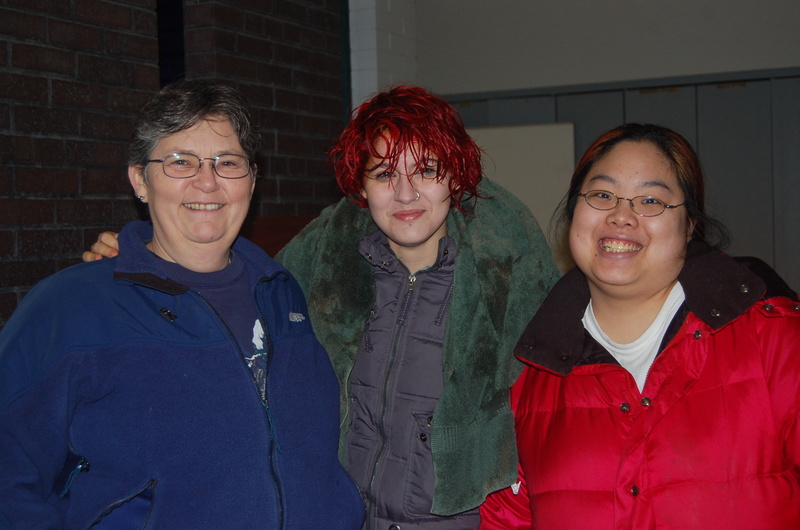 As a result, the Out-of-the-Cold “overnight” portion was shut down until the need increased. While food is the most practical and effective help you can provide, we also accept donations of plastic and cloth shopping bags, clean plastic lidded containers and clean lidded jars. We also accept socks, underware, jeans, winter coats and boots. 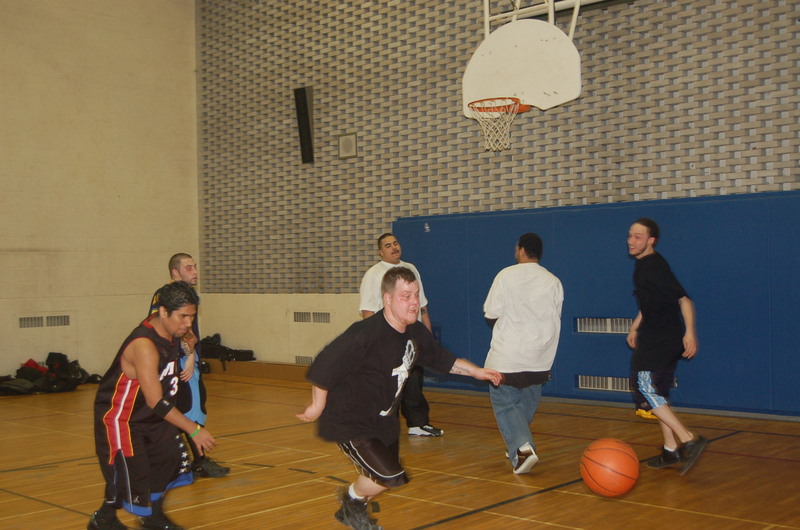 More than 100 youth are served every week – Tuesday nights from 6:30 til 9pm. Consider volunteering. ( The original version of this history, by program coordinator Vicki Wood, appeared on the website of Knox Church at http://www.knoxtoronto.org and the Missionlog’s GeoCities site. ) Enjoy the photos! Thank you and may the Lord bless you in many years to come. I live in the States, but spend 6 months April-October in Canada. During that 6 months I make a trip east to Ontario, New York and Pennsylvania to visit family and friends. I was brought to this site by a tweet on Twitter and think that when I pass thru there this summer I’d like to stop by with a box of those food items on the list. I am going right thru so may as well stop. This will be in early June. And, Regina I hope everything will be OK soon but if you are along the way I could stop the stuff by you. E-mail aliceprez@aol.com privately then I will be sure to get it. I feel so fortunate that so far I have not had any problems, and would like to help those who have. We have food banks here too, obviously and when my emergency supply of canned foods are going to expire in a month or so I’ll take them to the food bank and then re-stock. This is a good way to prepare for an emergency *and* help others so I suggest that to any who can do that.